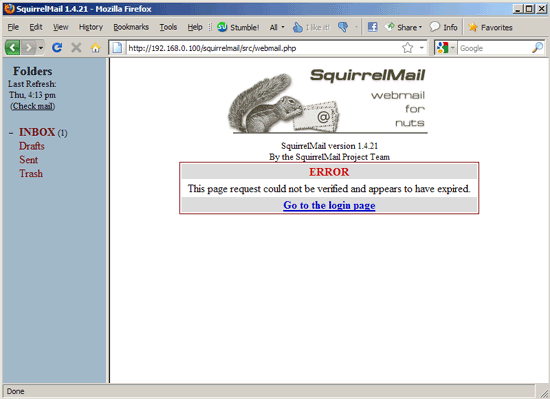 when i try to log into squirrelamil with [email protected] i get this error " ERROR: Connection dropped by IMAP server." exactly the same problem as well as in the thunderbird, it keep saying username or password wrong. any idea? 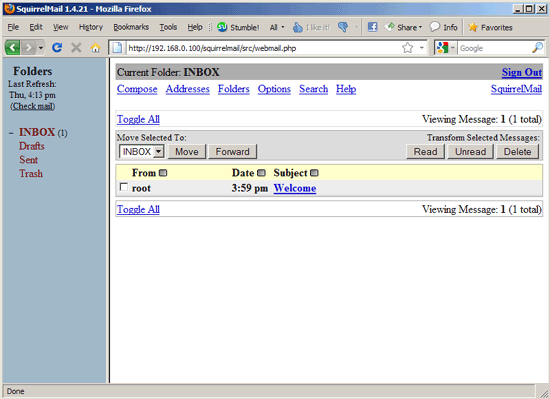 fix for me was just a diff tutorial, *link below*, but the problem is that postfix can't write to /home/vmail to create the site folder, and the user folder (for me atleast) and I was to lazy to fix it because even changing the folders permissions and ownership did not fix it for me... 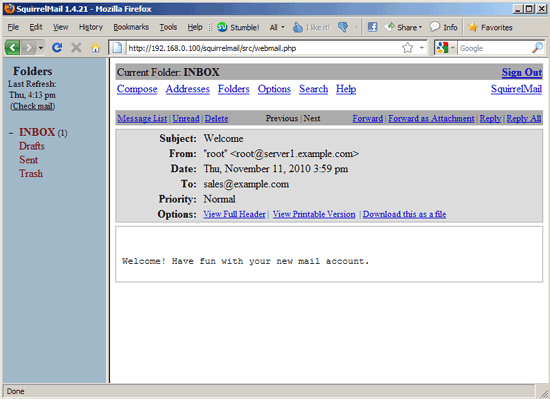 I did this tutorial, then went through this again for anti-spam, and harah! works! I did found the solution to this problem. Forget my last..... It work after I followed the directions correctly and typed everything in correctly. Thank you Falko! 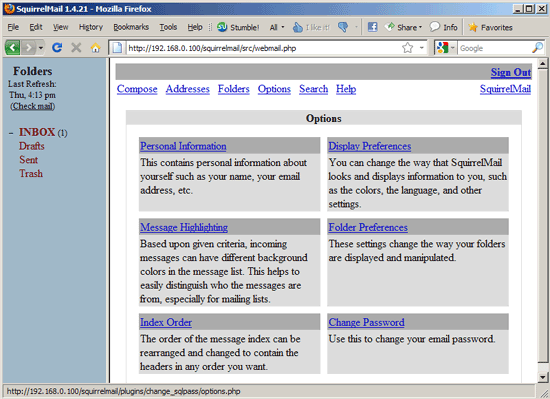 Another excellent tutorial... My squirrelmail is up an running. But I found a problem. I can't seem to track it down. 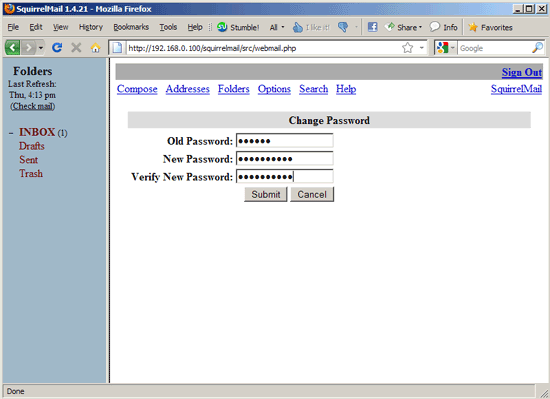 When I add the SQL password change plug-in into the squirrelmail config file I get a blank screen after I try to log in. If I take it out.... It works fine. Have you or anyone seen this behavior? i can't use in webmail by this way : www.domain.com/webmail. Alias also ready inserted in squirrel conf file. 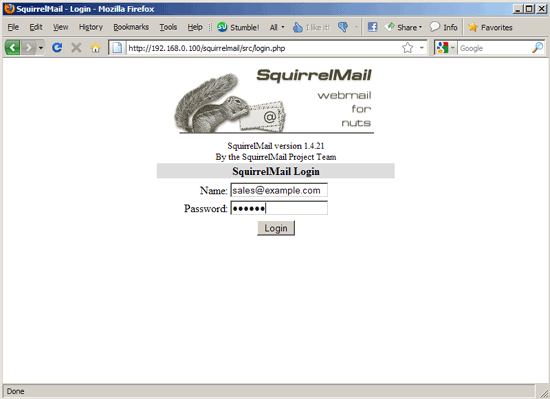 I wrote a script to automate the entire installation for postfix-courier SquirrelMail. 3 minutes for install process.